on washing days & varnished Susans wooden doll. Keeping clothes clean is always a challenge, but it was especially so in the 19th century when doing laundry was an all-day, manual chore. Small wonder, then, that little girls wore “sacks” or aprons over their dresses to keep their outfits from getting soiled. Sacks had no buttons, so were easier to wash than dresses. They were rather shapeless, sleeveless tunics, often made from simple muslin; aprons were the same idea except fitted with a sash. There were no hard and fast rules about the design or material, however. To imagine the approximate outline of what Evelina was making for Susie, think of the little girls in John Singer Sargent’s famous 1882 portrait, “The Daughters of Edward Darley Boit,” at the MFA. Three of the four daughters are wearing something over their dresses. Later in the century, sacks and aprons would evolve into pinafores, an iteration that became as much decorative as protective. Aprons never went away, however. After sewing for most of the day, Evelina took up “Mr. Lovell’s paper” to read. Reverend Stephen Lovell lived in Easton and was, for a few years, minister of the short-lived Protestant Methodist church. Although Rev. Lovell “gave general satisfaction,” attendance at his church was “feeble,” according to town historian William Chaffin, so the congregation disbanded about this time. Still, Lovell remained visible in town through his involvement with Olive Branch. Olive Branch was a popular weekly newspaper published in Boston by Reverend Thomas F. Norris . Although Chaffin writes that Lovell was editor of this paper, all other sources assign that honor to Norris. 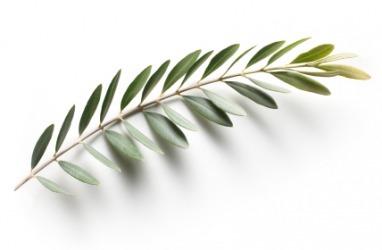 Olive Branch proclaimed itself to be “Devoted to Christianity, Mutual Rights, Polite Literature, Liberal Intelligence, Agriculture, and the Arts.” * It advocated peace in the increasingly divisive period leading up to the Civil War. Norris, Lovell and others who worked for the paper – women among them – must have been disheartened by the elusiveness of their goal. The paper ran from January 1837 through December 1860. Caroline and are following and love it. So glad you’re enjoying this! It’s fun to do.